Here are some recipes if you need them. I haven’t included recipes for every meal as you won’t need them. I have attached the PDF link for printing. Happy Nourishing! 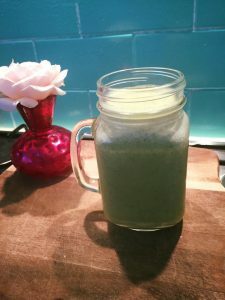 1-2 handfuls of greens (spinach, kale, chard, lettuce) 250mls coconut water or filtered water Fruit of choice(frozen banana, berries or mango are delicious) 2 tsp chia seeds 1-2tsp Flaxseed Oil or Hemp Oil 1 tsp Turmeric (if too much for taste add 1/2) 1/2 tsp Cinnamon 1 handful of cashew nuts or 1 tsp nut butter Protein powder (optional) clean proteins only no mass building ones! Blend and serve! Green Smoothie Options and Flavours are endless! 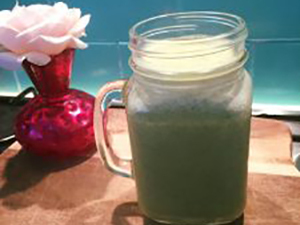 What makes a green smoothie? The green leafy vegetables of course! 1/2 Cup Chia Seeds 2 Cups Coconut/Almond or Milk alternative 1-2 Tablespoons of Maple syrup or Honey Berries or Fruit of choice Cinnamon or vanilla or spice to taste Mix all ingredients together in a bowl & let stand for 10 minutes! Viola a simple, yummy breakfast or snack or dessert! The flavour options are endless! I love using 1-2 tablespoons of Cacao or Dutch Coco to make a yummy chocolate pudding. Just use in replace of other spice. Mint also goes really well with these puddings. And they make a fabulous on-the-go breakfast or snack option! Rainbow salad is just a salad that has various vegetables in it including various colours. Examples – Beetroot ferment, sweet potato, avocado, cashew nuts, boiled eggs, spinach, grated carrot, red capsicum with tahini dressing. Make sure salads have oil added such as olive or flaxseed, it is a good way of increasing good fats. Add nuts and seeds to salads. Always need protein such as eggs, chicken, fish, beans or leftovers. Make them tasty; Instagram, Pinterst and Google have endless options & ideas! Mix paste, lemon and garlic pour in hot water and mix until combined and forms a sauce consistency. Great for meats such as turkey or chicken or over veggies. Blend olive oil, pine nuts, macadamia’s or cashews, basil, kale & spinach with garlic and lemon juice. Almond or other nut butter, coconut cream or coconut milk, garlic, lemon and turmeric use as marinade or sauce. avocado with lemon, salt, pepper and herbs. Place everything in a slow cooker and leave to cook (on low) overnight or all day (minimum 6 hours). Use your Broth as a stock in soups or other recipes requiring stock. Heat oil in a large saucepan over medium-high heat. Add onion and garlic. Cook, stirring, for 3 minutes. Add, carrot, zucchini, capsicum, oregano, paprika, basil, turmeric. Cook, stirring, for 5 minutes. Add tomatoes with lemon juice and stock. Cover. Bring to the boil. Reduce heat to low. Cover. Simmer for 30mins, skimming surface occasionally to remove scum. Add cabbage & kale. Partially cover. Simmer for 10 minutes. Stir in peas, beans and parsley. Simmer for 5 minutes or until peas are cooked. Season with salt and pepper. Serve with cooked Quinoa (cook according to packet instructions). I use chicken bone broth as my stock, I don’t use chilli or nutmeg and I use whatever beans/lentils I have in the cupboard. I serve mine with zucchini noodles, cauliflower rice or over spinach. I serve my children’s with rice. In a saucepan over medium heat, stir & heat the garlic, ginger, turmeric, nut butter. Add lemon, coconut cream, tamari and honey. Stir or whisk over heat until sauce looks relatively smooth. Once slightly simmering add all vegetables and cook until just soft. Serve with brown or red rice, cauliflower rice or zucchini noodles. Place whole chicken in slow cooker, drizzle with olive oil & squeeze of lemon, rub with Mexican Spice Rub, place lemon and garlic in cavity. Cook on low overnight or on high for minimum 6 hours. Shred chicken and stir through sauce and extra spice mix. Serve with rainbow salad, guacamole, fermented vege and Paleo wraps (brought or homemade). In a saucepan over low heat mix the tomato paste and cumin. Add the tinned tomatoes or Passata Sauce and all remaining ingredients. Stir until combined and simmer for 5 to 10 minutes, until thickened to your liking. Taste and adjust salt, pepper, or other seasonings as you see fit. This sauce will keep refrigerated for about 2 weeks or can be frozen for up to 3 months.